One of our local organic grocery stores ran a deal last month for free boneless, skinless chicken breasts so I made the trip and bought the meat. I brought it home and stuck it in the freezer and the pretty brown paper has been staring at me every day since then. You’ve read in my other posts that I’m not a huge fan of plain chicken breasts, but it was such a good deal, I couldn’t pass it up. Living in North Carolina, barbecue here is done two different ways– sloppy, smokey and sweet OR vinegar-based and tart. 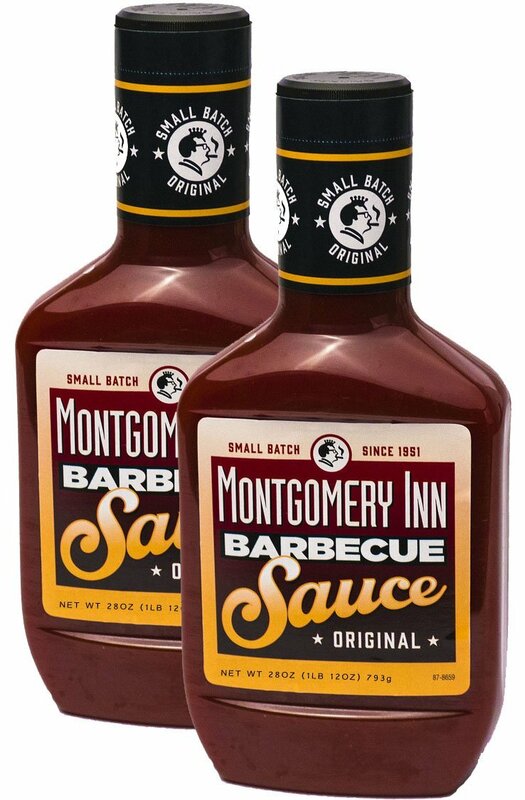 I’m more a fan of the first, so it’s easy to go out and buy a barbecue dinner, but even more difficult to find a good bottled sauce to use at home. I’ve tried A BUNCH of store-bought sauces and have found a few favorites. My #1 choice above all else is Montgomery Inn Barbecue Sauce, from Cincinnati, Ohio. It isn’t distributed everywhere, but you can buy it online. It’s smokey and just the right thickness and I love it on the meat on the grill or in the crock pot. I also recently discovered Budweiser’s Sweet Barbecue Sauce. It’s sweet and sticky, but great flavor for pulled chicken sandwiches. I added some additional flavors in today’s meal, but this sauce was delicious. Make this recipe and then serve it on warmed sesame buns or in a wrap with some shredded cheddar cheese. You can vary the flavors by switching out what kind of beer and what kind of barbecue sauce you choose to use. Enjoy! Put chicken in crock pot and pour beer over meat. Add caramelized onions on top of meat. Cook on low for 6 hours. Use a baster and remove the excess liquid from the pot and then shred the meat with a couple of forks. If cooked properly, the meat should fall apart very easily. Pour enough barbecue sauce over the meat that it coats it well but isn’t soupy. (You can always add more, you can’t really get it back out!) Cook on low for one additional hour.